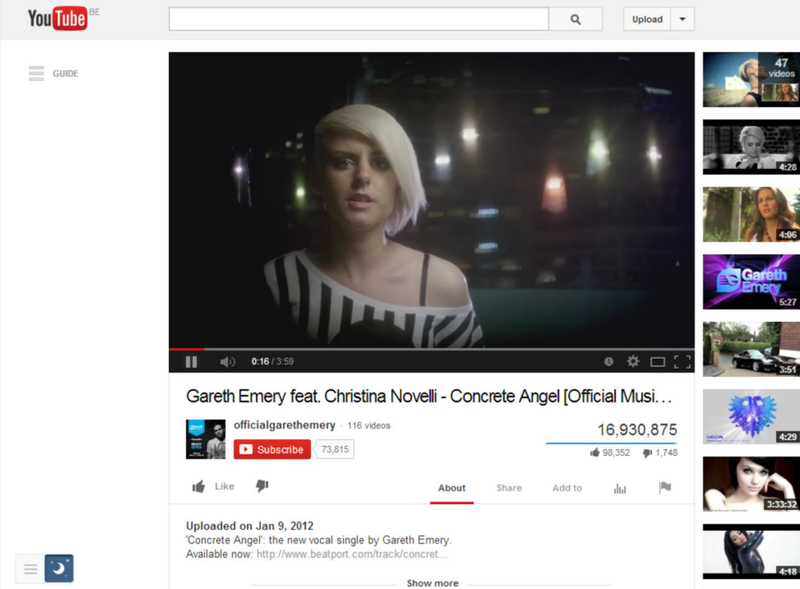 One of the nifty feature when you browse the web at night on Google or on YouTube website. Is the Night Mode feature, it protect your eyes from the white straigh background color. So the website is more comfortable at night or in a dark room. When you enabled this feature in the Turn Off the Lights options page, you will see it add an extra button on each page. This designed button makes it possible to switch from the white CSS background to the black CSS background in one click. And if you click again, it returns back as normal. Day and night you see this switch, which is pretty cool if you want switch between Day and Night viewing modes on YouTube or on other websites. 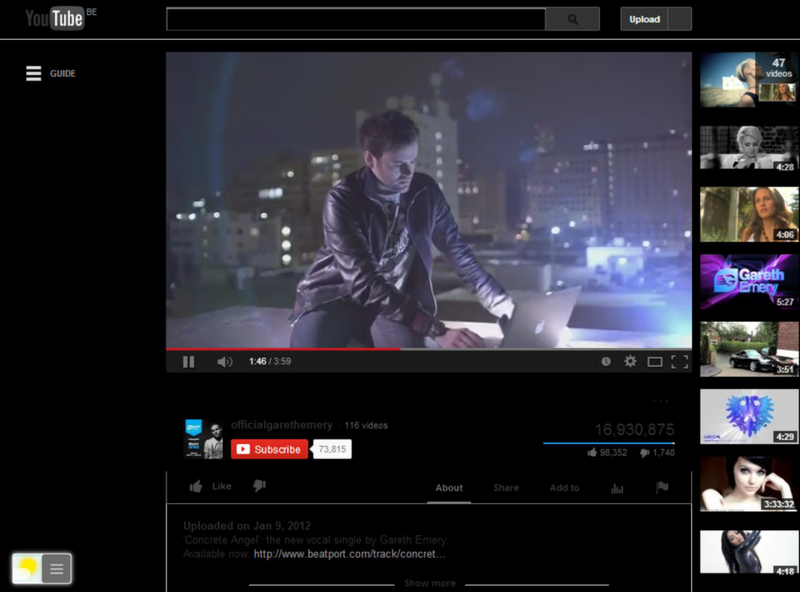 Below an example where the Night Mode is used on the YouTube website. The switch is visible below left of the web page, and it doesn't disturb any other elements on that page. Also the Night switch continues to follow you when you scroll down or up on the web page. When you have clicked on the Night Mode button, it shows the page as below. A very dark page and the text color are inverted. So you can still read the text on that page. And you see also that the Night Mode is changed from a position with another button icon. If you want back to the normal page view, click back on this button or refresh the page. It's not a Night mode Firefox only option, this feature is available for all web browser such as Google Chrome, Safari, Opera, Maxthon Microsoft Edge etc. A Night mode Firefox only will be not good for other browser users who want this great option in his favorite web browser. The night mode download nothing on your local hard disk, it only convert the CSS text and background color to the correct Night settings. The Night Mode download or upgrade not each time a new subscribe, it's all build by one CSS rule on top of the HTML document. This mean you can customize the white text color to a yellow color and the background from black to a cool blue color. Want to be a night owl? Turn Off the Lights have the best Night Mode feature and it's designed to have a comfortable feeling by day and night. Enabled this feature in the your favorite browser. But that is not the only feature in this great browser extension. Check the other features here on the top of this website. Download the browser extension and try it for yourself!